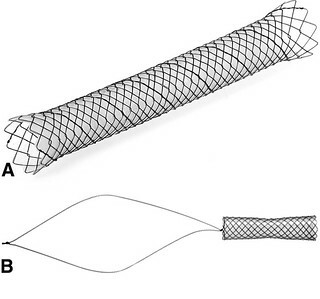 A Review Article from the July issue “Fully covered self-expandable metal stents for treatment of benign biliary strictures” by Arthur J. Kaffes, MBBS, FRACP and Ken Liu, MBBS, BSci (Med). The focus of this paper was the use of fully covered self-expandable metal stents (FCSEMS) in the treatment of benign biliary strictures (BBSs). There has been an explosion of recent research on the use of FCSEMSs in BBSs with suggestions of a paradigm shift from using plastic stents. Due to their growing popularity, we felt it was important to review the available literature on the efficacy, safety, and cost-effectiveness of FCSEMSs in BBSs. FCSEMSs have been shown to achieve excellent success rates in both transplant and non-transplant BBSs (>90% in some studies). This success is sustained for over 12 months in most studies. The efficacy of FCSEMSs is unchanged when used as first-line or as second-line therapy (after balloon dilation and plastic stenting). The subset of patients with BBSs secondary to chronic pancreatitis remains a challenge (46-75% success). Results of FCSEMSs in BBSs are similar to studies of plastic stents, in particular, studies using multiple plastic stents. Fewer ERCP sessions are required for treatment of BBSs with FCSEMSs which may result in cost savings, although published data are lacking. Figure 1. A, An example of the classic stent type (Bonastent; Standard Sci-Tech). 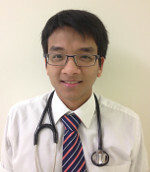 B, An example of a new stent type (Niti-S Kaffes; Taewoong). The stent sits entirely within the biliary tree with a long removal string that rests in the duodenum. The antimigration feature in this stent is the gradual tapering in the middle of the stent. FCSEMSs are safe to use. Adverse events such as pancreatitis, cholangitis, secondary strictures, and pain are infrequent and usually respond to conservative management. Spontaneous stent migration rates are variable; however, several anti-migration modifications have demonstrated efficacy in reducing this adverse event. There is still a need for further studies, in particular, randomized controlled trials comparing FCSEMSs vs. plastic stents. Data are also lacking regarding optimal duration of stent placement, and the cost effectiveness and long term safety of FCSEMSs. Read this article on pages 13-21 of the print Journal or find it online.